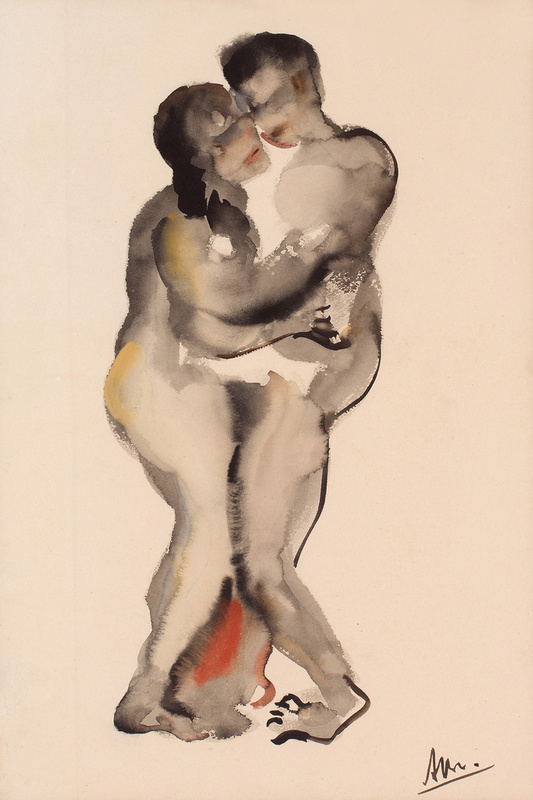 Embracing couple signed lower right mixed media on paper, 49x33,5 cm Provenance: Hijmans Kunsthandel, Toendjoengan, Soerabaia (old label on the reverse) Litt. : Haks&Maris, Lexicon of Foreign Artists who Visualized Indonesia, Utrecht 1995, p. 46. 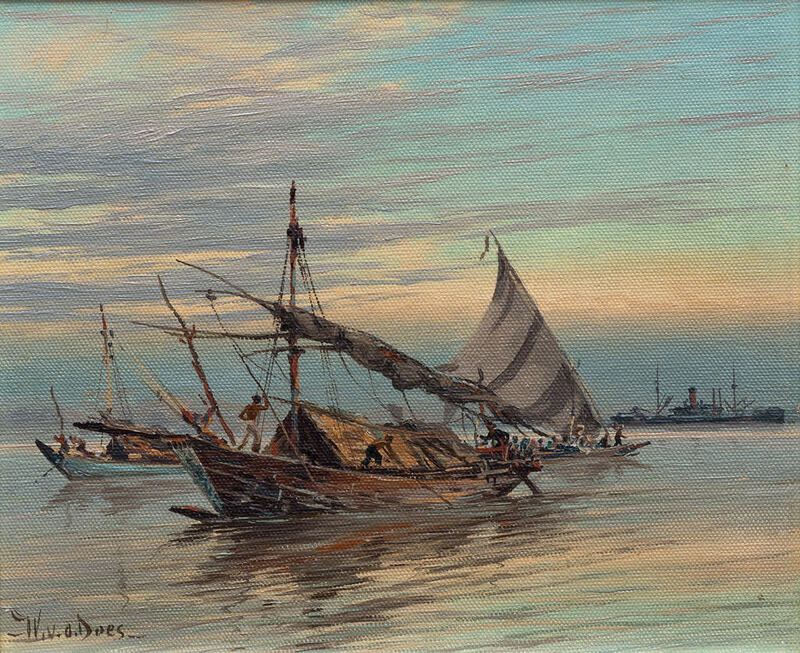 Dolf (Adolf) Breedvelt was a pupil of the academy of arts in The Hague. 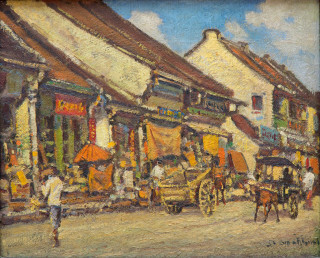 Around 1920 he came to Indonesia, where he was appointed drawing teacher in Jakarta, later in Surabaya. He participated in several exhibitions in Jakarta (Batavia) from 1924 to 1938 to retire as teacher and to dedicate his life to painting in the Netherlands. 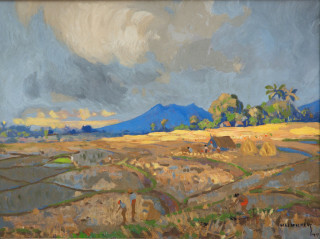 His works from Indonesia are rare, most were destroyed in Bandung during WW II. 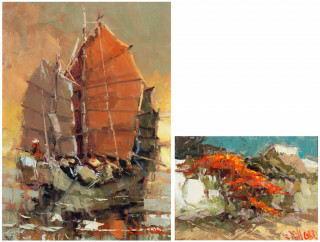 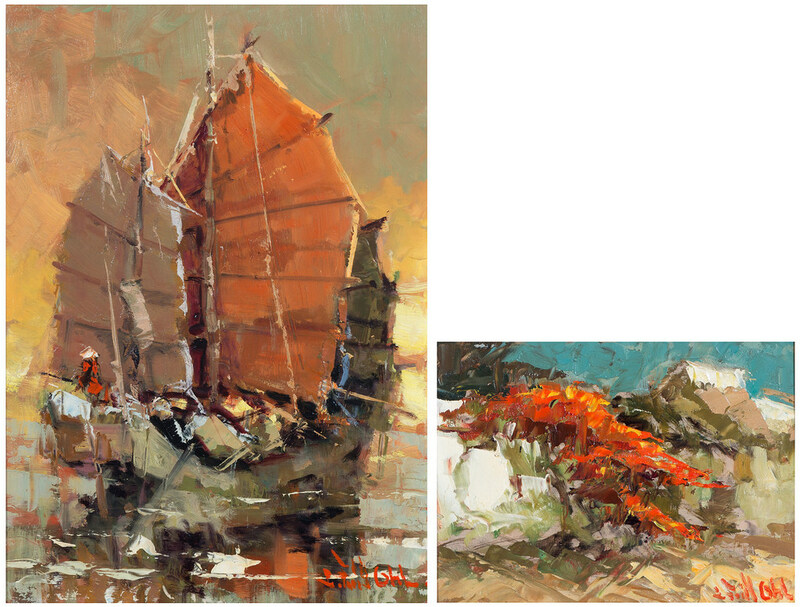 The couple in this lot shows his development towards abstractionism and was created in Indonesia. 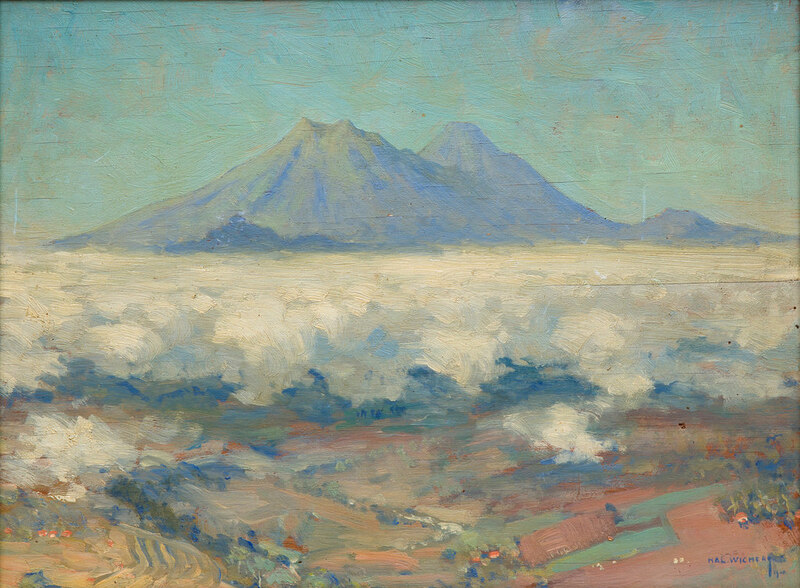 'Gedeh vanuit KNILM vliegtuig, Bandung Batavia' / Clouds above the sawa signed lower right and unclearly dated 19.., and signed again on the reverse and address of the painter in Bandung. oil on board, 28,5x38,5 cm Koninklijke Nederlandsch-Indische Luchtvaart Maatschappij (in English: Royal Dutch Indies Airways) was the airline of the former Dutch East Indies. 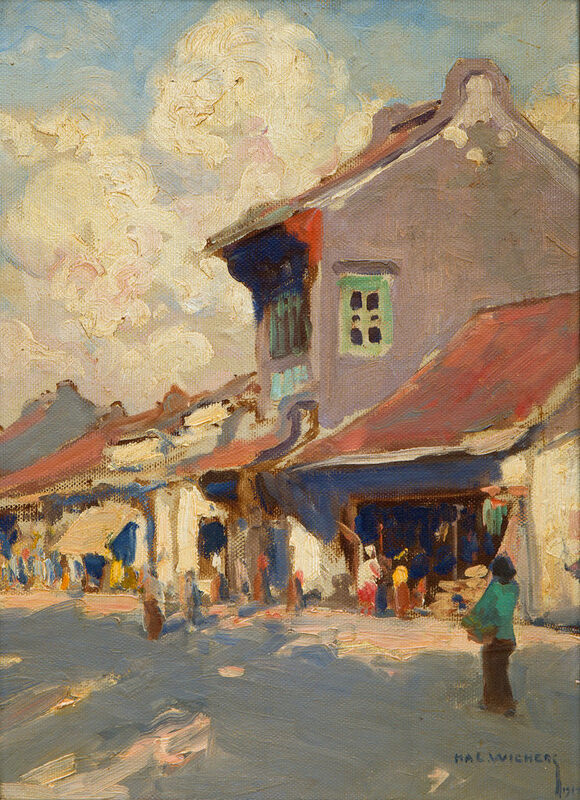 Headquartered in Amsterdam, KNILM was not a subsidiary of the better-known KLM (Royal Dutch Airlines), despite the similar name. The airline had its headquarters in Amsterdam and an office in Batavia (currently Jakarta). 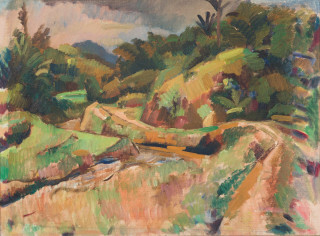 Landscape Tjikapoendoeng stamped, signed and authenticated by Jos de Gruijter on the reverse oil on canvas, 36x49,5 cm Provenance: Private collection of artists' family Exhibition: Exhibition Piet Ouborg, Van Reekumgalerij (Apeldoorn), Nouvelles Images (The Hague), 19/10 - 23/11 1980. 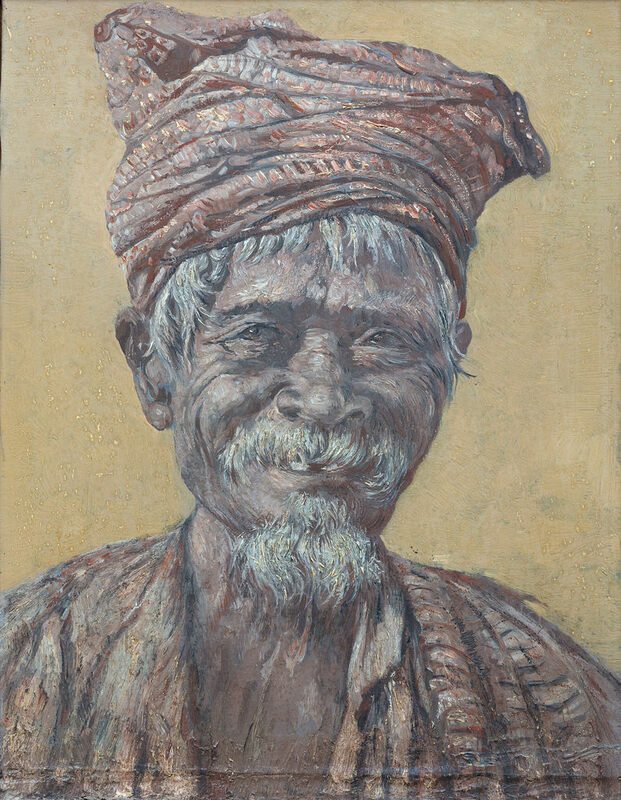 Exhibition Piet Ouborg, Rijksmuseum Twente, 24 March - 4 June 1990. 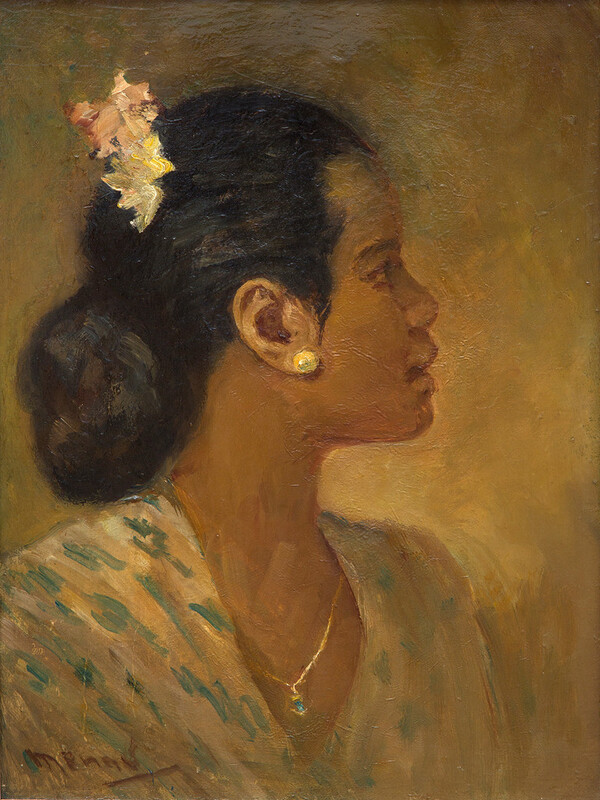 Balinese girl sitting under a tree signed lower right oil on canvas, 44x28,5 cm Provenance: Theo Meier ( Basel 1908 - Bern 1982 ) was a Swiss painter, who was mainly active in Bali and Thailand. 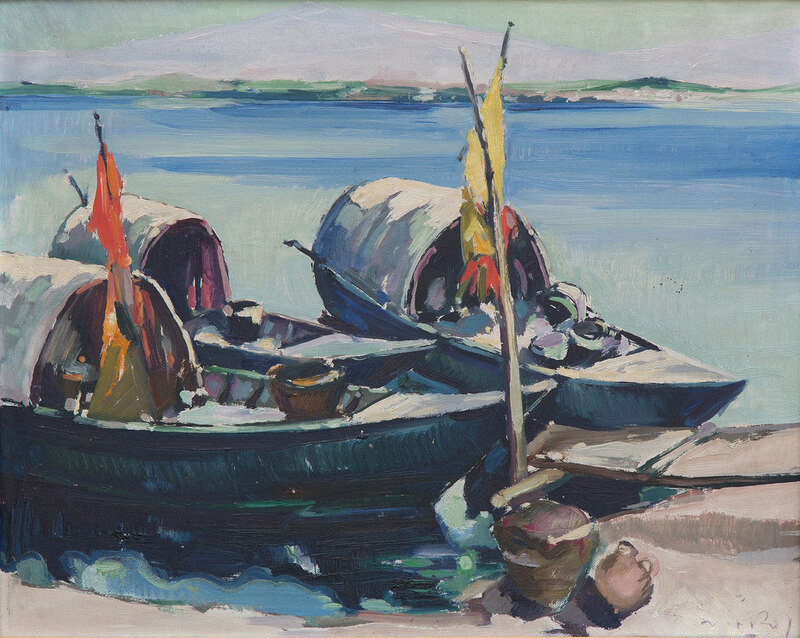 Meier followed a study at Basel's art academy and, thanks to a grant from the academy, could start a career as an artist. After a successful assignment for a portrait, Meier received many recommendations and traveled to Berlin where he came into contact with Max Liebermann , Karl Hofer and Emil Nolde . After that he lived in Dresden where he received instructions from Otto Dix. 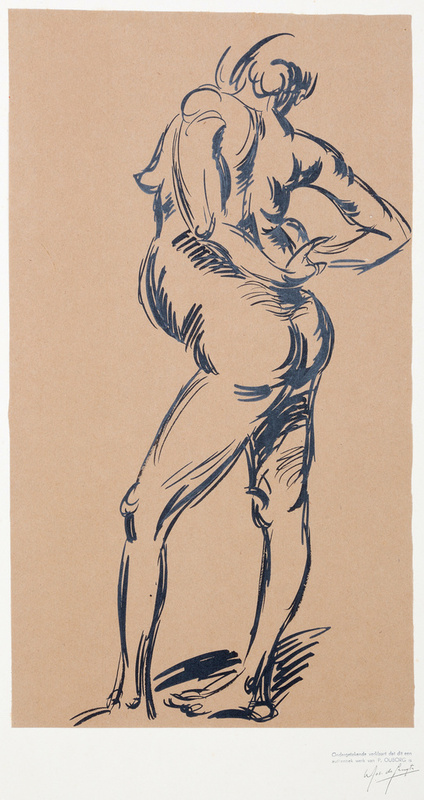 Back in Basel, he produced portraits of the composers Arthur Honegger and Igor Strawinsky . When he was 24, he, inspired by Paul Gauguin's work, went to Papeete on Tahiti. 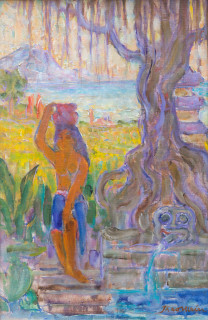 There he did not find the primitive simplicity that can be seen in Gauguin's work, but his experiences as a painter were certainly decisive, especially because of the tropical nature. 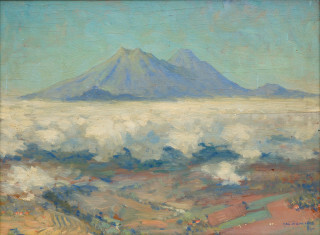 A year later, he went to Bali, where he found the culture he had missed in Tahiti, in a tropical setting. 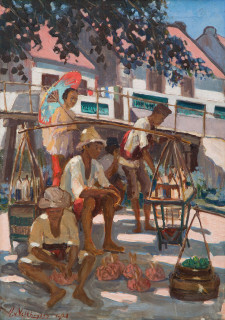 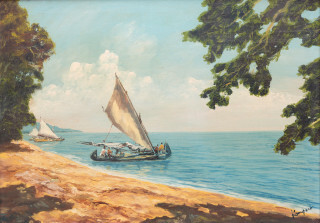 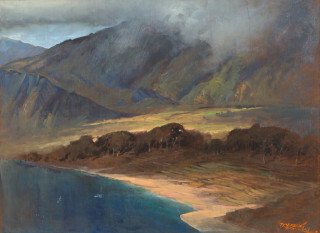 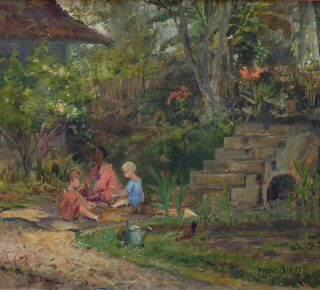 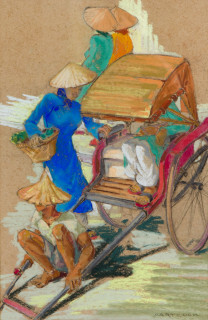 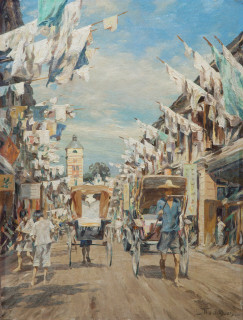 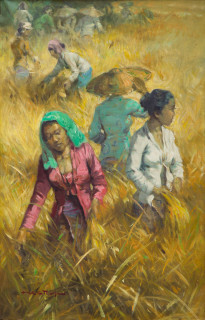 He settled in Sanur, began to paint and became friends with other artists on the island, including Walter Spies. 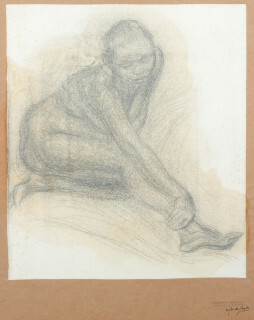 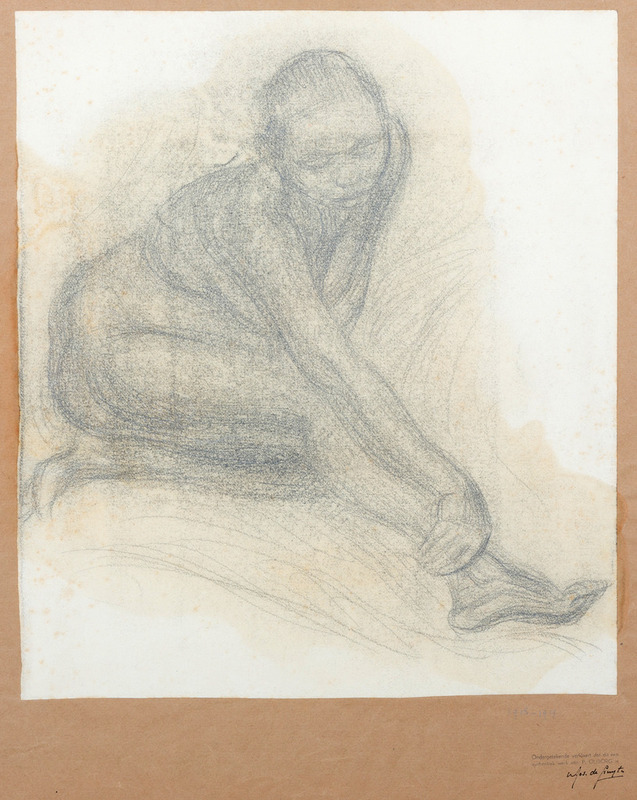 He was visited by artists and politicians and married in 1938 a Balinese woman. After the invasion of the Japanese, he fled to Saba. Much work of Meier was lost in that time. After the war and struggle for independence Bali lost much of its innocence, but Meier continued to work. 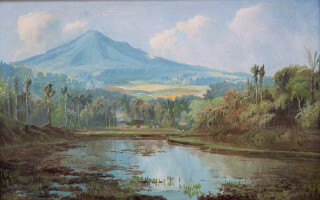 He received assignments from, among others, President Sukarno. 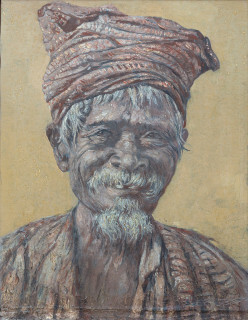 In 1948, he got a daughter with his second Balinese wife. 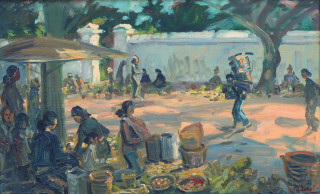 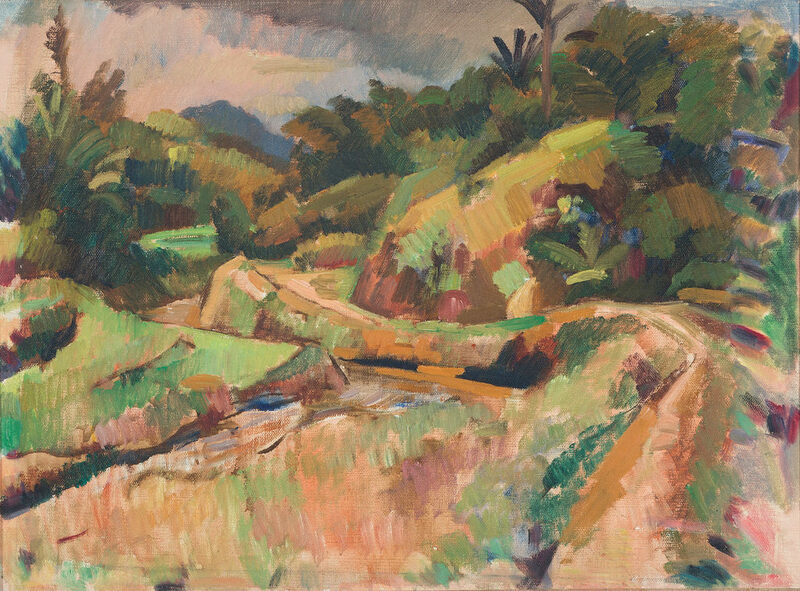 After a short stay in Switzerland, he went to Thailand in 1957 and finally settled in Chiang Mai where he would continue to live and paint. 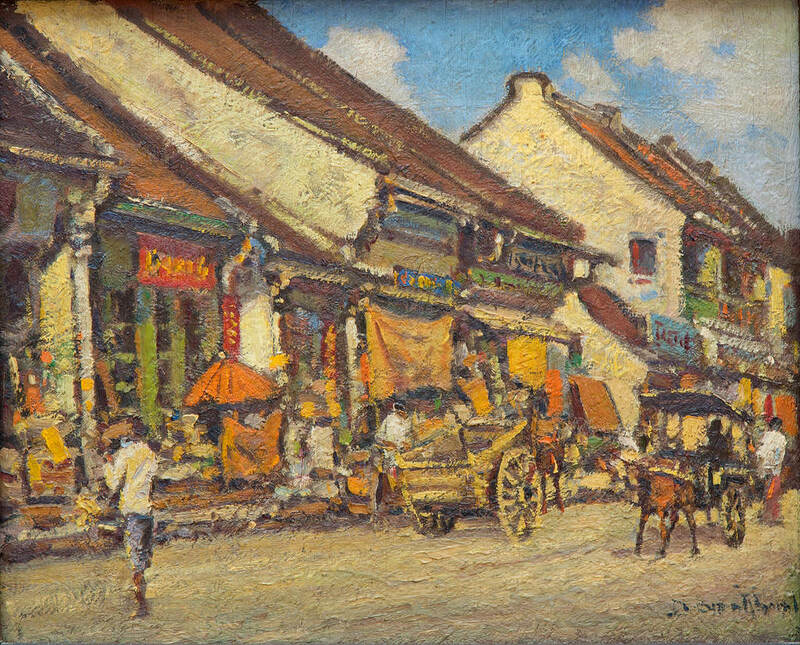 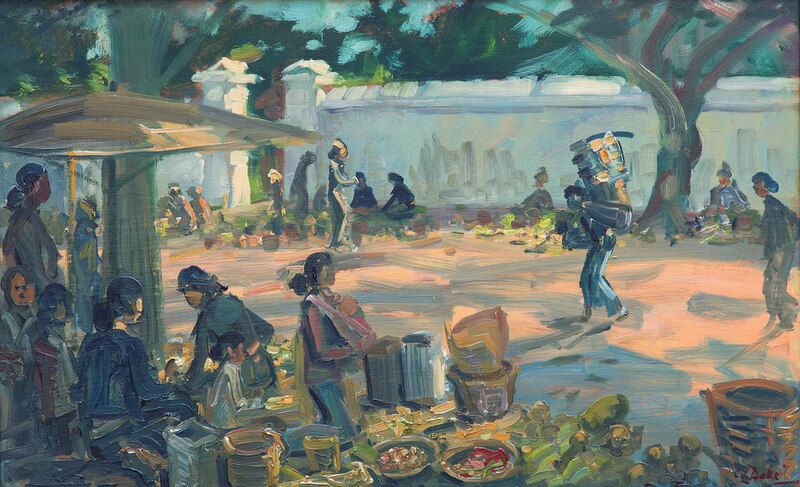 Pasar near the Kali Besar in Old Batavia signed lower left and dated 1928 oil on canvas, 70x49 cm Henry van Velthuysen (Tandjong, Java 1881 - The Hague 1954) worked in the Dutch Indies from 1905-1946.